In much the same way that YouTube stars are now more famous than movie stars—and that no one knows what “star” means anymore—a new study claims that YouTube is now the top destination for viewing TV shows, whatever those are. As Variety reports, research firm Frank N. Magid Associates surveyed some 2,400 consumers on where they went to watch TV shows, besides an actual television. And according to the results, some 38 percent of respondents named YouTube, beating out Netflix (33 percent), Hulu (17 percent), and Amazon Prime (14 percent). That these numbers add up to a total of 102 percent are testimony to the enthusiasm with which modern viewers give online streaming their all, apparently. Or, it could be just one of several ways in which the study appears to be flawed. 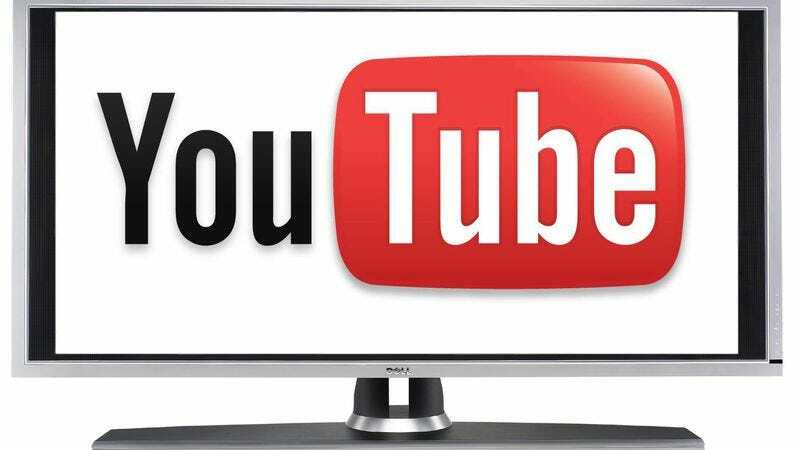 As Variety notes, while YouTube offers some full television episodes and seasons for purchase, it’s unlikely that this is a huge driver of traffic to the site—especially when compared to the selections offered by other streaming services. More likely, as even Mike Vorhaus, president of Magid, admits, those surveyed didn’t actually know what was meant by “TV shows” or even what was going on, possibly explaining why they agreed to take a market research survey. “I am not saying every consumer is always right about where they saw something or what they watched,” Vorhaus said about his useless study of addled morons. But, he added, there’s still “a ton” of TV shows on YouTube. This is especially true if you loosen the definition to “TV-related content,” which could include clips, video of people watching Game Of Thrones while screaming, and compilations that imagine romantic relationships between characters that don’t have them by setting them to love songs. And in that sense, yes, YouTube is definitely the most popular platform for watching TV shows, in the same sense that YouTube has rendered the concept of a “TV show” all but meaningless. In a separate and absolutely undisputed study, YouTube was found to be the No. 1 service for watching TV shows while getting into an unrelated argument about Obama.